U.S. citizenship as a status for fully recognized members of the U.S. population is based on the language contained in the U.S. Constitution, the country’s founding political document. The provisions for U.S. citizenship are specifically contained in the Constitution’s Article I, Section 8, Clause 4, and based on the language of that section of the national founding document have further been effected through the Immigration and Naturalization Act. Additionally, the judicial processes of the U.S. government has supplemented and altered the processes surrounding U.S. citizenship through the application of the 14th Amendment. 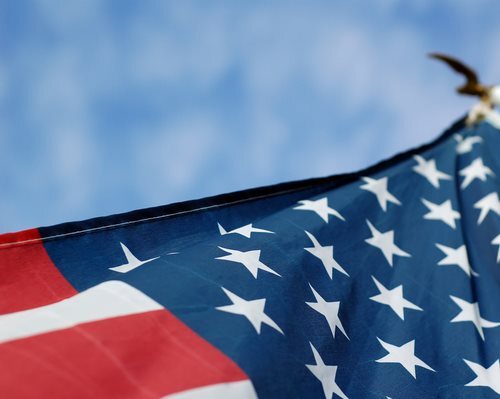 U.S. citizenship provides certain benefits to individuals who possess this legal status as well as certain responsibilities which they must take into account. Accordingly, people who hold U.S. citizenship are empowered toward participating in national, statewide and local elections, as well as toward potentially entering electoral races for U.S. political office. Voting rights and the ability to enter into U.S. political office can be limited through the application of various restrictions, such as the ability of state governments to take actions toward restricting the voting rights of felons and the inability of naturalized citizens toward running for President or Vice President. U.S. citizens must also consider the obligations to which they will potentially be subject. As such, a U.S. citizen who otherwise meets the legal prerequisites maintained for such purposes may accordingly be impelled to render jury duty. Taxation is also a generally required function for the holders of U.S. citizenship. Adult males who hold U.S. citizenship will typically be subject to the requirement for registration with the Selective Service System, as allows for the possible conscription of male citizens into the armed services depending on the decisions of the U.S. governments. People who hold the status of U.S. citizenship may either be effectively born into this status or may acquire it at a later date, in such a latter case either potentially through their own volition or through the application of automatically applying U.S. laws. The former concept for attaining U.S. citizenship is referred to as birthright citizenship. The current body of judicial interpretation within the jurisdiction of the U.S. allows for any child born within the country’s borders to accordingly realize the benefits provided for through birthright U.S. citizenship. Children who are born outside of the United States to at least one parent fully recognized as a U.S. citizen and resident of the country for a minimum 5 year period can accordingly attain the benefits of U.S. citizenship after such a person’s 18th birthday. People can initiate the process of going through naturalization and attaining the status of U.S. citizenship can do so by submitting one of the necessary items of documentation to the administering authority of the U.S. Citizenship and Immigration Services (USCIS). The most relevant items of documentation in this regard is Form N-400.